Why has Richmond relied on Ruffin & Payne since 1892? Because we have what you need, and we can create what you need. Wood trusses, engineered floor systems, Glulam posts and L-V- L beams. 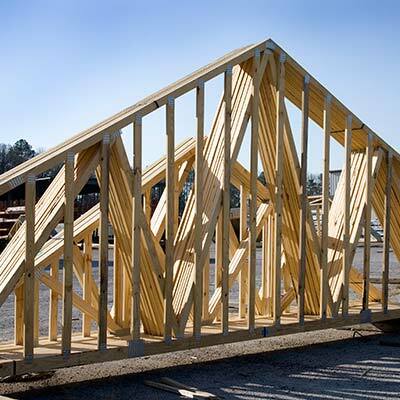 We cut L-V- L beams to size, and we were one of the first in Virginia to manufacture trusses. We will build from your designs or we will make the designs for you. We have on our staff a dedicated truss designer to provide engineered sealed drawings to meet your building code needs. Our truss manufacturing line has the latest innovations, computerized saws and laser projections on the assemble tables to provide quality trusses for your designs. Richmonders have trusted Ruffin & Payne to provide quality workmanship and service since 1892.